Your keys will stay with the parking lot whilst you are away. Highly competitive rates! 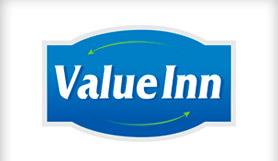 SeaTac Value Inn provides airport parking at some of the lowest daily rates in town. Just minutes from the airport, this motel provides secure airport parking with free shuttle to and from SeaTac airport. Parking facility is secure, well lit, fenced with security cameras and 24 hour reception. It’s a valet service and the staff are available to assist with your luggage. The motel is open 24 hours a day, however the shuttle is in operation from 4am to midnight daily. The shuttle runs on demand however please call in advance to arrange your shuttle journey. The shuttle takes on average 10 minutes to get to the terminals, its recommended that you arrive at the motel 15 minutes prior to your required check-in time at the airport. Please print and bring your reservation voucher. SeaTac Value Inn is open 24 hours a day, however the shuttle is in operation from 4am to midnight daily. The shuttle runs on demand however please call in advance to arrange your shuttle journey. Please arrive at the motel at least 15 minutes prior to your required check-in time at the airport. Park in a spot in the parking lot and report to reception. The shuttle runs on demand, please contact the reception 24 hours prior to book in your free shuttle. On return, either call reception or call one of the airport van islands and the shuttle will be sent to pick you up.